Poll: Should divorce waiting times be reduced to two years? Is it time to cut the current four-year separation period? 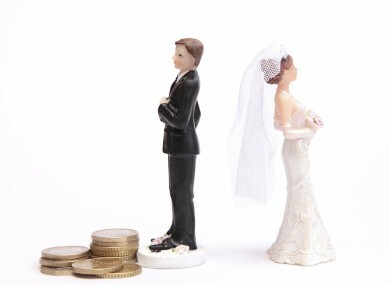 THE GOVERNMENT IS considering reducing the period of separation necessary for divorce from four years to two years. The issue is expected to be debated in the Dáil in the autumn and it reportedly has the blessing of Taoiseach Enda Kenny. If a bill is passed, a referendum will then be held on whether it’s necessary to reduce the waiting time for a divorce. So this morning we’re asking: Do you think divorce waiting times should be reduced to two years? Email “Poll: Should divorce waiting times be reduced to two years?”. Feedback on “Poll: Should divorce waiting times be reduced to two years?”.